When DC announced that huge players like Will Smith, Jared Leto and Tom Hardy would be signing on for their 2016 film entitled Suicide Squad, many of you probably jumped for joy. Though most probably responded “Huh?” or “What”? Everyone knows of the big DC heroes such as Wonder Woman, The Flash, etc – even if they don’t know their full back stories -; but just WHAT is the Suicide Squad? And why should we care? Well those are exactly the answers I’m going to answer in this article; as well as explain why THIS is the film that could turn it all around for the DC Cinematic Universe. The Suicide Squad –as the name suggests – is comprised of a bunch of expendable agents; but not just any agents: super villains. By agreeing to work for the Suicide Squad, the criminals can reduce their sentences; but in some continuities – like the TV series Arrow – the Squad is also kept under control by implanted bombs that can be detonated if they fall out of line. Whatever way the film goes remains to be seen; but we do know that many of the original members will be taking part in the film. Rick Flag (played by Tom Hardy) is an elite soldier who is tasked to lead this team. He’s not a villain; but simply an ace leader who has served his country. Deadshot (played by Will Smith) is in many ways the DC equivalent of Marvel’s Hawkeye in that he has perfect aim. Whether sniper riffles of two wrist mounted guns, this deadly assassins used to be another Gotham vigilante before using his talents for money. Captain Boomerang (played by Jai Courtney) is a skilled assassin that uses – you guessed it – boomerangs. Though these aren’t ordinary boomerangs, but rather trick ones complete with blades, explosives and anything else he wants. The Enchantress (played by Cara Delevingne) is a more complex character who has been both super hero and villain. Usually having a split personality, June Moone – her real name – can use powerful magic when she lets her Enchantress side out. Each one of these role castings is actually spot on. Tom Hardy can absolutely play a disciplined mercenary/badass – as we saw in The Dark Knight Rises – and as for Will Smith playing a gun ace, do you remember Wild Wild West. Also, Deadshot usually has a certain kind of charisma to him that Will Smith would be able to really bring out. In a cool twist, it was originally reported that Jai was up for the role of Deadshot; but placing him as the Australian Boomerang seems like a much better choice. As for Cara Delevingne, she’s actually a model and this would be her first big film. The person behind the Suicide Squad is Amanda Waller. Whereas Waller might not have any powers of her own, she is an incredible badass and one of the most frightening characters in all of DC as far as the pull and connections she has. For all intensive purposes, she is the female DC version of Nick Fury/Samuel L Jackson. This is the woman who mouths off to Batman because she can. So who could play such a character? Well a lot of names are being thrown around right now. Viola Davis from the hugely popular How To Get Away With Murder is being eyed for the role along with Octavia Spencer; but it is the final name on this list that has this panda really excited. Who is it you ask? One word, Oprah! Now whereas I can’t imagine Oprah being the ruthless Amanda Waller, Oprah does know a think or two about being cunning and organizing a huge network of power and influence. Though still, WHY would anyone put together a team of these hardened villains. What threat could be big enough? Well some other casting announcemnts could give us a hint as to this as we learn that Jared Leto has been cast to play The Joker. As possibly the most iconic Batman villain, it’ll be weird to see The Joker without Batsy; but I’m confident Leto can pull off a great Joker. The Joker won’t be alone though as he will be joined by his main squeeze Harley Quinn (played by Margot Robbie). Originally Harley wasn’t supposed to play a big role in the film – if one at all – but a bunch of rewrites were put in to give her a bigger part. Some have hypothesized that Harley will be a first act villain who then gets captured by the Suicide Squad and forced to help bring down her love; but I think it’s also possible for Harley to start out with the Squad only to betray them halfway through. 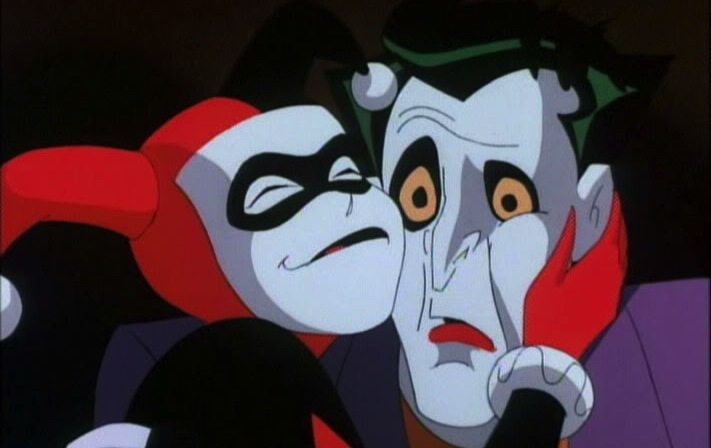 Regardless, Harley and Jokers relationship is very complex and I agree with Jessica Chobot from Nerdist News that there would be nowhere near enough back story to explain a betrayal. As for talk about Jesse Eisenberg returning as Lex Luther for this film, it also can go one of two ways. The films could be setting up Luther as an Anti-Hero in the DC Cinematic Universe OR he could be working with the Joker in a World’s Finest style team up. Then again, World’s Finest is THE Batman/Superman movie so I doubt they’d use the same formula without either hero in it. On one hand, I hate that this film is throwing in all these villains without us getting to know them first. 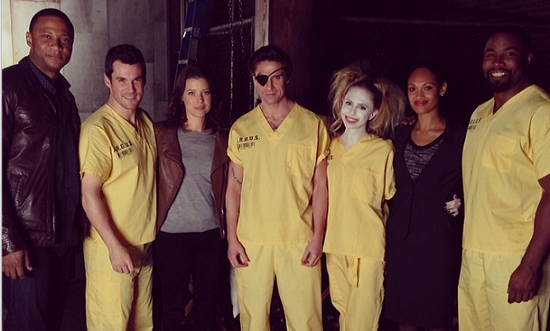 The CW’s Arrow did a spectacular job of introducing the Suicide Squad after having the Arrow face them over the course of two seasons. With Deadshot being a Batman villain, Boomerang being a Flash villain and Enchantress being associated with the Justice League over all; these people could have been inserted into the respective films and then shown in a post-credits recruitment scene much like Marvel did with The Avengers. On the other hand, I have tremendous respect for this film and what it’s trying to do. If you look at the DC movie line up and then take into consideration DC’s reported ban on jokes from their universe, it’s almost as though they are purposefully trying to give audiences the opposite of what Marvel is doing – which isn’t a good thing since the opposite of Marvel is bad movies. Though what Suicide Squad IS doing differently from Marvel and all other superhero films currently in production is that it’s focusing on a team of villains as anti-heroes. Sony’s Sinister Six – if that’s even still in production – won’t be able to deliver the same idea as Suicide Squad, which is basically a S.W.A.T. or Expendables movie with super villains. What DC is doing here with this film makes it unique; and actually seems like a better idea than Batman V Superman: Dawn of Justice right now. Batman V Superman is becoming less and less a Batman / Superman movie and more of a justice league movie with all the other characters thrown in. To make matters worse, DC apparently misheard our #1 gripe with Bat-fleck Ben, and instead of introducing us what kind of Batman Ben Affleck will be, thought we didn’t know who Batman was . . .
With Batman V Superman: Dawn of Justice seeming like more and more of the same in EVERY capacity; and the rest of its Cinematic Universe shooting itself in the foot by trying FAR too hard to set itself apart from the very popular Arrow-verse, Suicide Squad might just be what DC needs to breath some life into its Cinematic Universe and actually make it stand out in the right way. I actually did NOT know all that about the Suicide Squad, but you know what? After reading your blog entry, I definitely want to see it! I think it’s pretty insightful that the idea of “premiere” characters like Superman and Batman are starting to fade in the DC-verse. And in their place, relative unknowns sweep up immense viewership and acclaim, like Green Arrow and John Constantine in their TV shows. Maybe the “Unknown-to-Known Freaking Well” transition, exemplified by Guardians of the Galaxy, will also bring the Suicide Squad into the limelight. That’s actually an amazing point. Yes we know the relatively unknowns are becoming hugely popular and successful; but so too have the leading characters kind of fallen behind. Not just DC; but Marvel too a bit. I could write an entire article about that. Perhaps they think, ‘we have the name, so story doesn’t matter/reuse old stuff’. Whereas the less knowns must have excellent story and new inventive ways to tell things.